Apple this summer will introduce the Apple Card, a new credit card that it's offering in partnership with Goldman Sachs. Apple presented the Apple Card at its March 25 event and launched an Apple Card website, but there were still many questions about how it will work. TechCrunch's Matthew Panzarino today shared some new details on the Apple Card that were provided by Apple, giving a little more insight into how it will work and answering a few of the questions we saw from MacRumors readers. First and foremost, Apple Card is not going to support multiple users. 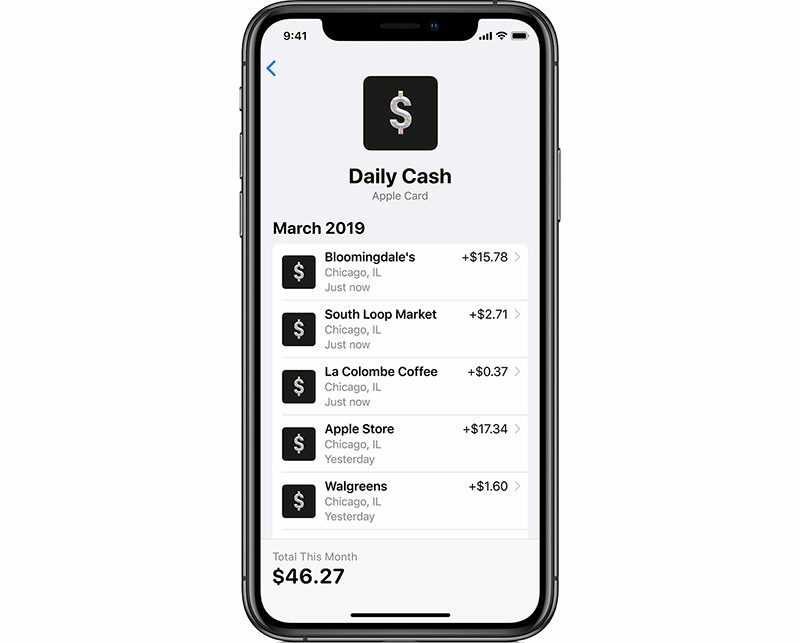 People who use a single account with two shared credit cards at the current time are not going to be able to do the same thing with Apple Card. It's one card per person and one card per account. 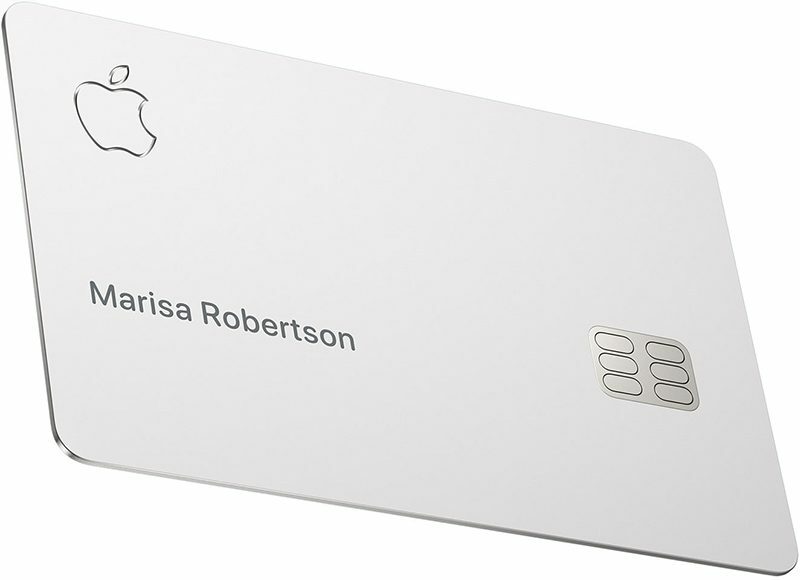 There is no cost associated with the physical Apple Card, even though it's made of laser-etched titanium. Apple isn't going to charge you for the card itself and there isn't going to be a penalty fee if you lose it and need a replacement. There is an in-app option to freeze your card in the event that it's stolen. Speaking of the physical Apple Card, Apple has implemented a neat activation method - you'll just tap it against the iPhone when you get it, without the need to place a phone call for activation like you have to do with existing credit and debit cards. When using the physical card, no signatures will be required. Though it's tap to activate, the physical card itself isn't going to support contactless payments. You need your iPhone for that. 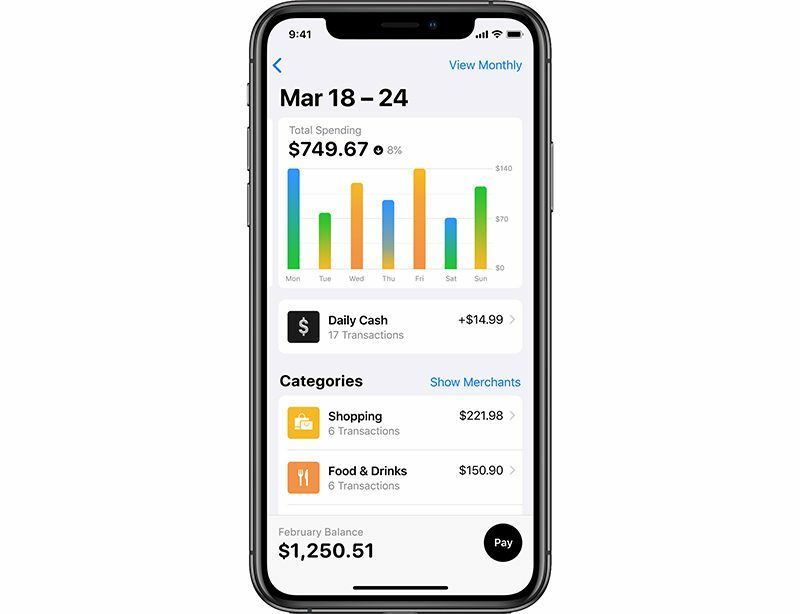 Paying your balance can be done in the Wallet app using a linked bank account or Apple Pay Cash, and while not mentioned by TechCrunch, there is an option with Apple Pay Cash to get an emailed statement, so Apple will presumably offer the same option with Apple Card. There's no word on whether transactions can be imported into financial software like Quicken as of yet. As for fees, there are no foreign transaction fees but the exchange rate for foreign transactions is determined by Mastercard. Making a late payment will not result in penalty rates, aka increased interest rates. You're still going to have to pay interest on the outstanding balance, and a late payment will impact credit score, but interest rates won't increase. TechCrunch says that when it comes to interest rates, Apple will make an effort to sign you up at the lower end of the interest rate tier that you qualify for. 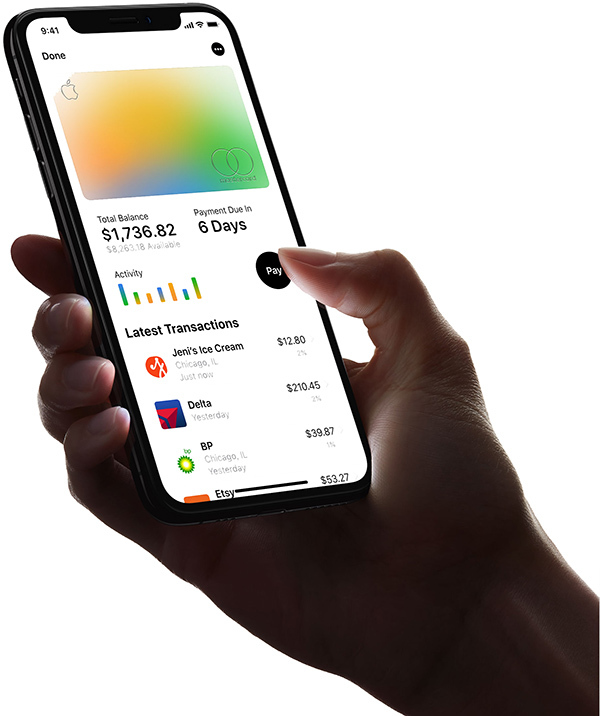 While Apple Card's interest rates fail to break the mold in any major way (they are roughly between 13-24%), Apple will place users who sign up at the lower end of the tier that they land in due to their credit score. This isn't some incredible re-imagining of how to offer credit or an intensely low interest option, but it could shift you to the bottom of a tier when you qualify instead of paying a few points higher at your 'exact' score. As Apple announced on Monday, there are no credit card numbers or other information on the physical titanium Apple Card. This data is instead available in the app, leaving some questions about online purchases where you often need a number and a CVV. Apple Card is able to generate virtual card numbers for these kinds of purchases. The Wallet app will provide a virtual card number and a virtual confirmation code, with the number being semi-permanent and able to be regenerated whenever you want. This info can be used for non-Apple Pay online purchases, over-the-phone purchases, and other similar situations. There is not, however, support for single-use numbers or single-merchant numbers for having separate card numbers for different merchants. Purchases will be further protected by a one-time use dynamic security code, and two-factor authentication will need to be turned on for you to use Apple Card. When it comes to privacy, Apple said on stage that it won't know what you're buying or how much you spent, and its partner, Goldman Sachs, will not be selling or using data for external or internal marketing or advertising. There's one other neat tidbit about Apple Card that's worth pointing out, which, while wasn't included in TechCrunch's details, has been circulating on Twitter. Apple Card uses different colors to categorize and code your purchases for labeling purposes, with entertainment in pink, food in orange, shopping in yellow, and so on. It appears that when you use Apple Pay, the color of your card in the Wallet app will have a rainbow gradient based on your spending habits, so if you're buying a lot of food and purchasing a lot of movie tickets, it'll trend toward orange and pink. TechCrunch has some additional details on privacy and security that are well worth reading through for those interested in the Apple Card, and our own Apple Card guide also has more information on what you can expect when it launches. So you can't "share accounts" meaning married couples can't have authorized users so that they can both keep track of finances? Sure, but sharpen that baby down a little, and you've got yourself one hell of a knife! Still rather disturbed by this. I know Apple are sort of desperate to start exploring new sources of revenue but climbing into bed with Goldman Sachs is akin to making a pact with Satan. Credit Cards are the source of misery for literally millions and millions of people unable to escape its clutches. Shame on Tim Cook. Can’t he make money elsewhere? No, I don't think it is a dumb! It is a personal credit card, not a joined one. If you wanted a joined one, look elsewhere. Plenty of other options for that. That is a lukewarm take that I'd be willing to bet Apple wouldn't agree with one bit. Their goal is to get people to sign up for the card. Any encumbrance to that sign up is detrimental. This will be an encumbrance for some. Your suggestion for one to look elsewhere would probably elicit the following from Apple: "Dude, shut the hell up with that nonesense. We want them to get our card"
To further that end Apple, I'd also bet will probably make the statement that the prohibition against shared accounts is temporary while they ensure the standard program is running on all cylinders. Once any unforeseen issues are ironed out, they'll open up more features to customers... shared accounts being one of them. The physical card looks sleek. No sharing accounts...definitely not an option for me anymore and I was very excited for it. How stupid - that should be a necessary feature to implement. So that means you won’t be able to set up recurring subscription payments that require a CVV?